The oil and gas industry regulator has raised its forecast of what can be recovered from the waters around the UK over the next three decades. Changes in the way the sector operates are thought to have unlocked the potential for a further 2.8 billion barrels of oil or the gas equivalent. It is now estimated that 11.7 billion barrels could be recovered between 2016 to 2050. More than 43 billion barrels have been extracted from UK waters so far. Peak production was achieved at the turn of the century. The Oil and Gas Authority’s increased estimate for the offshore industry partly reflects new investment. While the oil price was high, in the first half of this decade, oil companies approved a series of major investment programmes that gave the UK offshore sector a second wind. The new report suggests that spending was greater than previously reported. It also shows operating cost per barrel of oil produced has halved since 2014, at least in US dollars, reaching just above $15. Some of this spending was for developing so-called brownfield sites, where fields were mature and new technology was required to pump more from the rock formations. Most expenditure was in new fields, many of them to the west and east of Shetland. The last of that phase of new fields is expected to come on stream in the next few months. As a result, the industry’s production total rose from 1.4m barrels of oil equivalent per day to 1.63m barrels in 2016 – returning to the level seen in 2011. That rate was repeated in 2017, and would have been higher if the Forties Pipeline Network had not been closed down in December because of a leak. Production during 2018 is expected to be higher than last year, but to start declining from 2020. 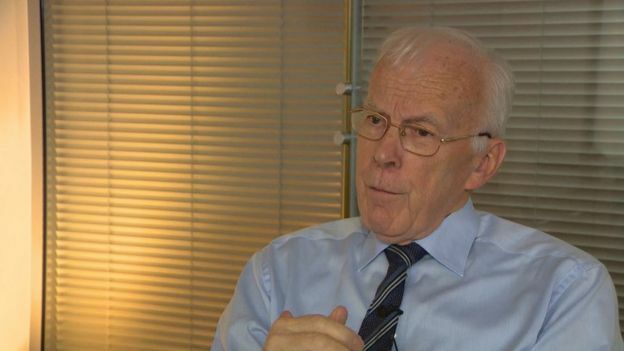 In 2014, having been commissioned by Whitehall, industry veteran Sir Ian Wood produced a report which set out a plan for maximising economic recovery of oil and gas. Setting up the Oil and Gas Authority as the new regulator, based in Aberdeen, was part of his plan. It was given powers to require co-ordination by oil producers, and to ensure they did not close down assets prematurely. The authority’s report of projections of production also extends to expenditure. It expects to see investment continue further into the future than it had previously expected, but that there will still be a decline. Capital expenditure has continued to fall significantly, and will continue to do so, says the authority. Operating costs rose marginally last year, but they are still 27% below the high reached in 2014, when the high oil price began its slide. Spending on decommissioning was up by 4% last year. Future annual spending on breaking up and recycling platforms, rigs and pipelines is expected to be lower than previously forecast. Andy Samuel, chief executive of the OGA, commented: “The extra 2.8 billion barrels identified shows the future potential of the basin which could be boosted further through investment and exploration successes.